The Defence Secretary Gavin Williamson has announced today that HMS Albion has deployed to North East Asia to safeguard free trade, partake in joint training and exercises, and support UN sanctions against the Democratic People’s Republic of Korea (DPRK). Defence Secretary Gavin Williamson said: “Our Armed Forces are at the forefront of Global Britain, and the deployment of HMS Albion, Sutherland and Argyll demonstrates our unwavering commitment to our international responsibilities and to maintaining peace, security and prosperity in the region. The Royal Navy has sent HMS Albion to support allies delivering maritime security in the Asia-Pacific region. Defence Secretary Gavin Williamson announced today that HMS Albion has deployed to North East Asia to safeguard free trade and take part in joint training and exercises with our allies. Defence Secretary Gavin Williamson said: “Our Armed Forces are at the forefront of Global Britain, and the deployment of HMS Albion, Sutherland and Argyll demonstrates our unwavering commitment to our international responsibilities and to maintaining peace, security and prosperity in the region." While in the region, both HMS Sutherland and HMS Albion will visit several ports and take part in joint training with allies and partners, including the US, the Republic of Korea and Japan. Captain Tim Neild, the Commanding Officer of HMS Albion, said: "I am delighted to support UK interests in the Asia-Pacific. Our deployment serves as a fantastic example of the flexibility and global reach of the Royal Navy. 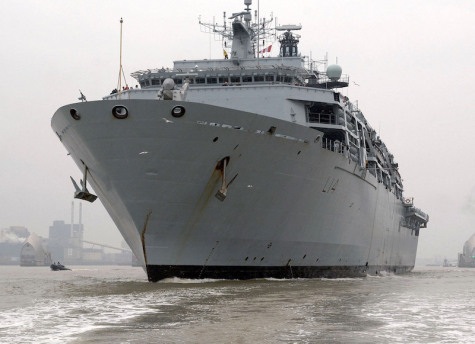 “HMS Albion is a very capable warship, manned by a crew of highly trained and hugely professional sailors and Royal Marines, and the opportunity for us to work with allies and partners provides a clear demonstration of the UK’s unwavering commitment to the peace, security and prosperity of the region as a whole. "As always, I am extremely grateful for the ongoing support from our families and friends back home as we carry out these important international responsibilities on the other side of the world."